Energy plays a crucial role in Harry Potter: Hogwarts Mystery. 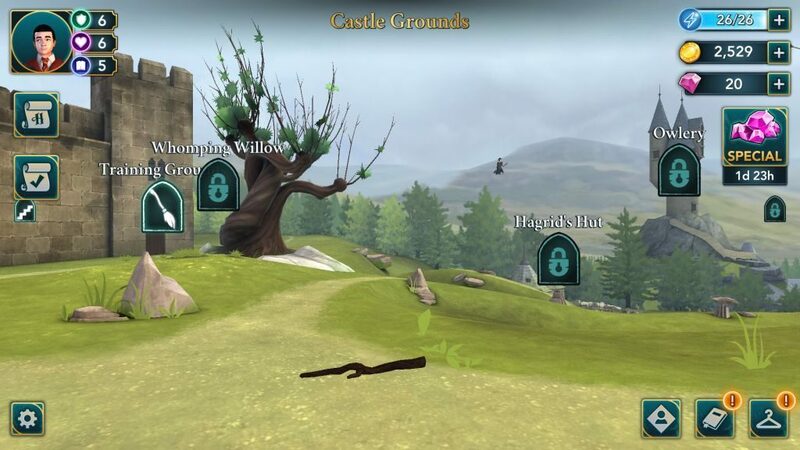 You will need it to complete actions if you want to finish lessons, complete story tasks and side-quests. Energy refills slowly, which is one big drawback of this game. You will have to wait for some time for it to refill before you can start using it to complete actions. You will receive 1 energy point every 4 minutes and it will take roughly 1 hour 40 minutes to get 25 energy points. You can quickly refill energy by using gems, but it’s not easy to get this premium currency for free. Thankfully, there is a way to get energy orbs without having to wait. 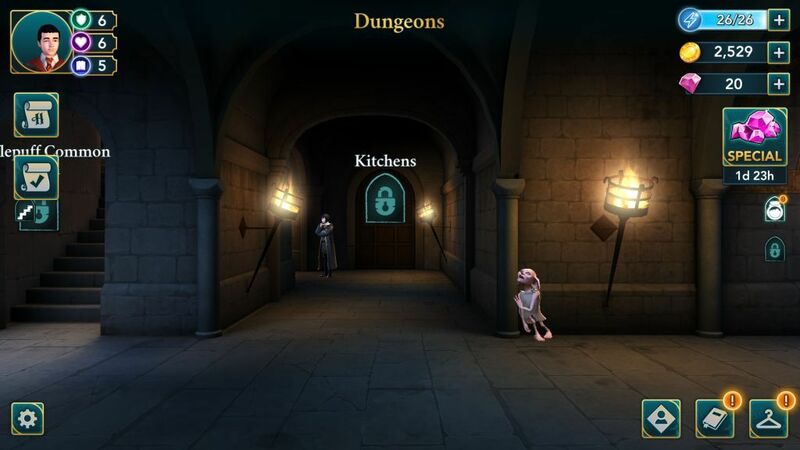 There are secret spots in Hogwarts castle that contain energy and you just have to tap them to get orbs. Here is a list of areas where you can find them. You will need to move to the dungeons or to the west and east towers to get them. Tap the stairs icon at the end of a floor to navigate between floors. You can also check our video walkthrough to know which areas contain energy orbs and how to get them. 3. Lower East Floor: You can get extra energy on the lower east floor by tapping a bunch of books placed on a bench. 4. 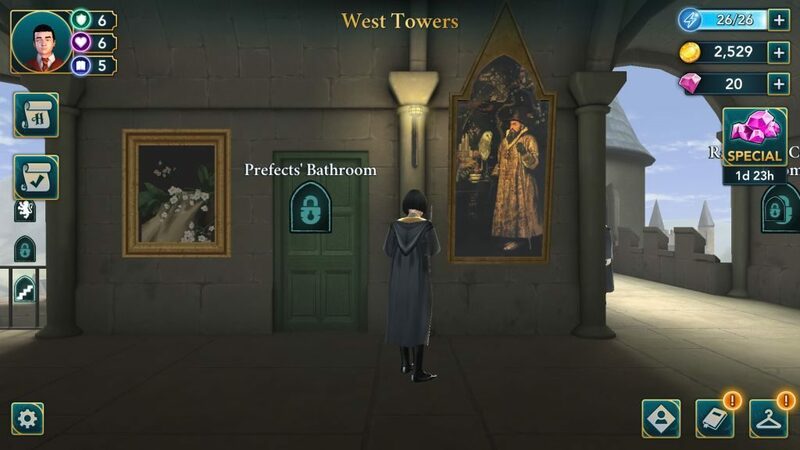 West Towers: Tap the floral painting next to the Prefect’s Bathroom. Tap the painting to bring it alive and get energy. The painting comes alive as someone places oranges on top of the flowers. 5. 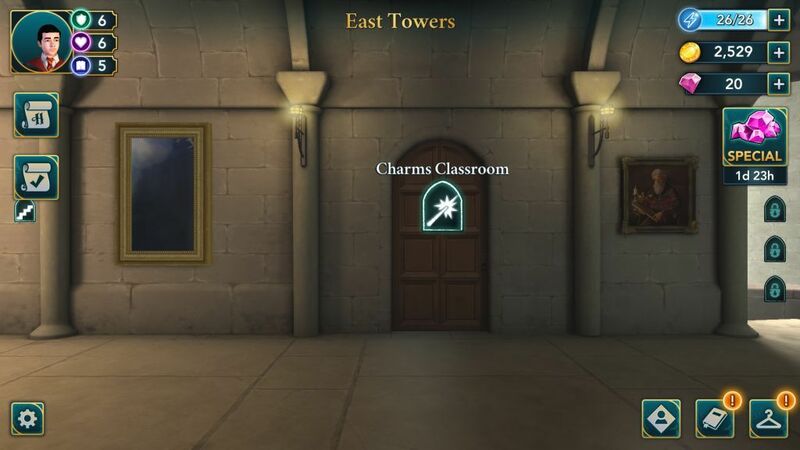 East Towers: The blank portrait beside the “Charms Classroom” contains an energy orb. Just tap it to get it. 6. Lower floor – West: Tap the extinguished torch beside the Great Hall to get energy and you will see it light up again. You can tap it again when there’s no fire. 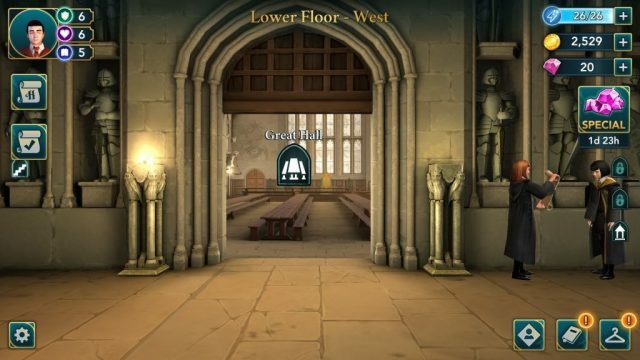 To the right of the Great Hall you will see three knights. Tap the middle one to bring him alive and get energy. Also in Hogsmeade. Click on kid in alley and he sleds down.